Are You a Spender or Saver? Take the EveryDollar Quiz! Don’t worry—this isn’t one of those tests you dreaded in high school. This is your chance to find out if you’re a natural spender or a natural saver when it comes to handling money. Once you know which way you lean, you’ll learn what’s good about your natural money tendencies and why it can help to lean a little toward the other side. Let’s get started! Here are some questions to help you figure out if you have spending or saving on the brain when there’s money in your account. 1. It’s payday. What’s the first thought that goes through your head? A. You check your bank account to make sure your allocated savings was directly deposited to the correct account. B. You hit the Place Your Order button for the Amazon order you’ve had in your cart all week. 2. You decide you want to go on vacation. Which thought is more pressing? A. Start a savings fund now. 3. After a long week, it’s time for date night. At the restaurant, what do you do? A. Look the menu over to find a tasty and reasonably priced item—something you could turn into leftovers for lunch tomorrow. B. Before your server comes, ask if your spouse wants to get appetizers or dessert . . . or both. 4. You designate some “fun money” for yourself in the budget. What do you do with it? A. Set a little aside for a rainy day or just in case you want to buy something nice. 5. A hot new restaurant in town has a Groupon deal. What is your reaction? A. Is it a good-enough deal to buy? And do I have the money in the budget? B. I haven’t tried that place yet. That changes today (click)! 6. You want to upgrade your mobile phone. In your mind, what is your timeline? A. Maybe in three months. That gives you enough time to complete your current savings goal and start another. 7. When shopping for clothes, what’s the first place you visit? 8. You find $20 in your coat pocket. What do you say to yourself? A. I’ll just keep this in my pocket. B. Guess I’ll be getting lunch out after all! 9. You allocated $100 in this month’s clothing budget. At the end of the month, what does your clothing budget look like? A. It’s the 30th and I still haven’t bought anything. I’m hoping the new jacket I want goes on sale soon. B. It’s the 30th and I have $2 left. Can I make it until next month? 10. You’re working toward your emergency fund. As you near your goal, what do you say? A. I can’t wait to finish this Baby Step! B. I can’t wait until I get to reward myself for finishing this Baby Step! If you answered the majority of the questions with A’s, then you are a natural saver. You’re awesome at being patient, setting goals, and looking for the best deal. 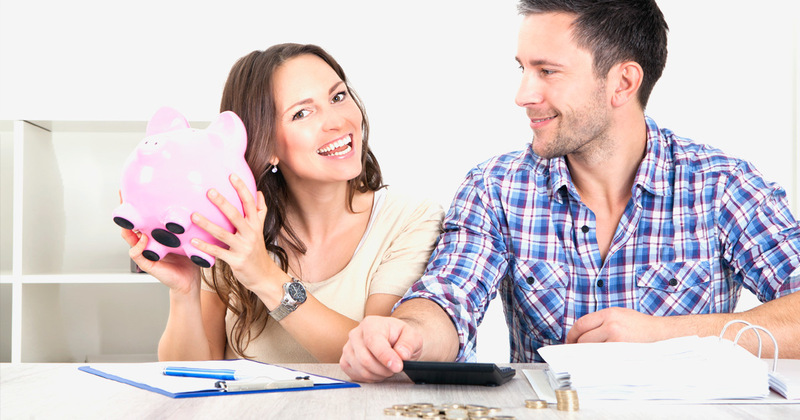 You might be a budgeting Nerd, and you love making plans for your money and looking ahead. That’s good! You are the one who stays grounded and works toward goals. You could be more awesome by not being afraid to spend money once you’ve budgeted for it. It’s okay to enjoy the fruits of your efforts. If you are a natural saver, you can be a wise saver who can learn to also spend money. If you answered the majority of the questions with B’s, that makes you a natural spender! It means you might be a budgeting Free Spirit—and that means you know how to put the fun into life! You’re awesome at spending your hard-earned cash and are super generous when it comes to giving it away. You could be more awesome when it comes to being patient and making responsible purchasing decisions. Spenders are often impulsive buyers. You can grow by slowing down and making sure you take care of the important stuff first. It’s a lot easier to enjoy spending when you know you have a working budget and that your emergency fund and 401(k) are funded. Whichever side you lean toward, remember something: It’s important to find balance between the two. If you focus solely on spending, you could end up with lots of debt. If the only thing you do is save, you don’t get to enjoy the things money can do for you such as giving, going on a nice vacations, or just an occasional night out. Find what works for you, and be wise with it. The best people (and budgets) are balanced ones!